Ideal for low power (<100nA standby current) and connectivity applications that benefit from the availability of multiple serial ports (3xI2C, 3xSPI), 4xUARTS, and 23 independent timers. 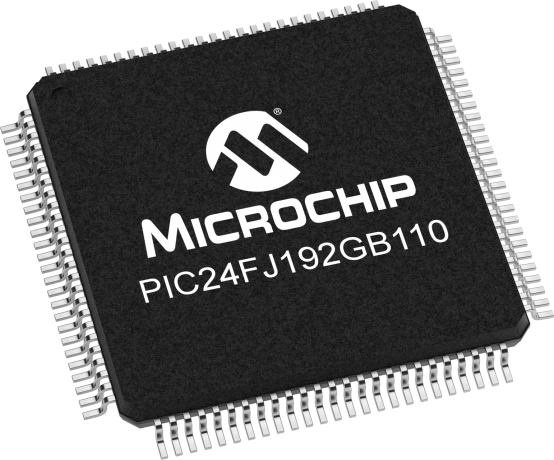 Large amounts of RAM (16kB) memory for buffering and large (up to 256kB) Enhanced Flash program memory make it ideal for embedded control and monitoring applications. PPS (peripheral pin select) aids in configuring the most efficient pin configuration of available I/O, and CTMU provides touch support for up to 64 individual buttons. Supports USB 2.0 for device, Host, and OTG with a complete and free software stack that includes a thumb drive application stack. Available in 64, 80, and 100 pin packages.